Product prices and availability are accurate as of 2019-04-21 11:16:13 EDT and are subject to change. Any price and availability information displayed on http://www.amazon.com/ at the time of purchase will apply to the purchase of this product. 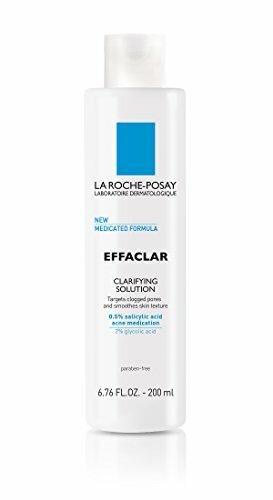 La Roche-Posay Effaclar Clarifying Solution Face Toner for Acne Prone Skin with Salicylic Acid & Glycolic Acid gently exfoliates and removes excess dirt and dead skin cells to leave skin feeling refreshed and even. 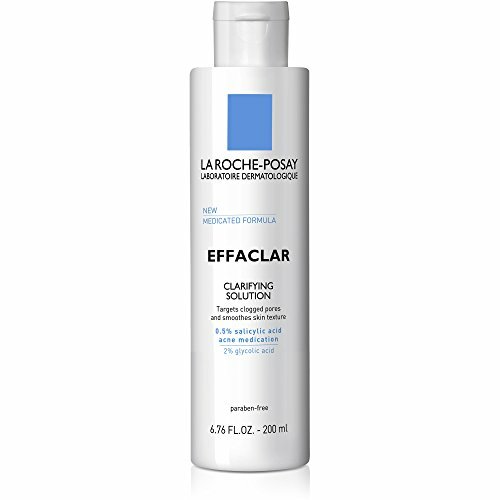 Acne face toner contains Glycolic Acid - penetrates deep to unclog pores and smooth skin texture, and [0.5%] Salicylic Acid Acne Medication - helps clear blackheads, whiteheads and acne blemishes. Use as an acne face toner daily for continuous results. Tone up to two times daily, morning and/or evening. Use a soft cotton ball or pad. Make sure to avoid eye area. No rinsing. Active ingredients: 0.5% Salicylic Acid. 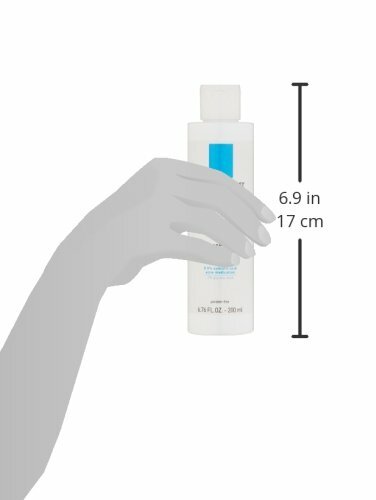 Inactive Ingredients: Water, alcohol denat, propanediol, glycolic acid, sodium hydroxide, capryloyl glycine, phenoxyethanol, benzyl alcohol, PPG-26-buteth-26, PEG-40 hydrogenated castor oil, menthol, tremella fuciformis, polysaccharide, butylene glycol, ophiopogon japonicu root extract, scutellaria baicalensis root extract.